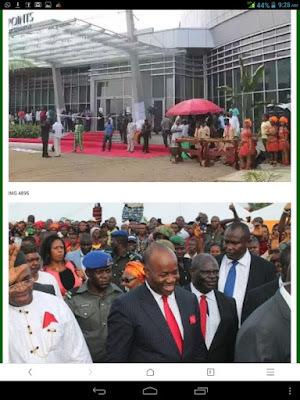 Akwa Ibom Governor, Chief Godswill Akpabio has inaugurated the last batch of life-touching projects worth billions of naira with a clarion call on the people of the state to emulate selfless service of his administration. The projects are Ibom Specialist Hospital at Ekritam, Itu Local Government Area, Four Points by Sheraton Hotel in Ikot Ekpene and Ikot Ekpene mini-Sports Stadium. The hospital, which sits on 44,000 square metres in the heart of Uyo metropolitan city, has a 309-bed space expandable to 400, has six theatres, three of which are completely integrated modular theatres and three semi-modular theatres. It has private, general and semi-private wards, an MRI (Magnetic Resonance Imaging) which is 1.5 tetular, the most advanced technology available in the imaging field, 640 slide CT scans, full dialysis unit, automated laboratory and an endoscopic unit, CATH laboratory, intensive care unit for adult and children, a medical gas plant, paperless and pneumatic delivery devices, digital mammography, a helipad and a parking lot that can accommodate 500 vehicles. The Four Point by Sheraton Hotel in Ikot Ekpene which is a 14-storey oval shaped, has 146 rooms, 14 suites, a 600-seater banquet hall, six meeting rooms, swimming pool, terrace, fountain and presidential wing, among others. Also inaugurated was the renovated Ikot Ekpene Sports Stadium which sits more than 5,000 spectators. According to him, ‘’The Ibom Multi-Specialist Hospital, which we have come to commission today, is an important part of the future of Nigeria. It seeks to restore the faith of Nigerians in our healthcare system. It seeks to check the worrisome trend of medical tourism bearing in mind that we, as a nation, loses N81 billion annually to medical tourism’’. ‘’As the Governor of this blessed state, I had the onerous responsibility of ensuring that no Akwa Ibom person died an unnecessary death. To keep faith with this commitment, we had to send droves of Akwa Ibom people abroad for treatment whenever it was decided that our healthcare system could not handle such complex cases. It was at this point, I decided that as part of the social contract between the government and the governed, government should provide a proximate health institution which could meet all conceivable health problems and challenges of the people. ‘’When we conceived this project, we ran into a storm of cynicism by men and women who wondered whether any good thing can come out of Nazareth. Well today we believe we have confounded the doubters and we invite them to come and see this marvel, which shall remain a testament of our commitment to the health of our people, Nigerians and humanity in general. ”We have built this great edifice and equipped it with state-of-the-art facilities. But this is only one aspect of solving the problem. I believe that the medical training institutions in our country should upgrade their curricular to accommodate the modern trends in medicare. It will be counterproductive to run such an advanced hospital purely on the skills of expatriates. Though we are starting with about 150 expatriates, it is our hope that a technology transfer would take place and at some point this hospital will be run mostly by Nigerians who could hold their heads high anywhere in the world”, he added. The governor thanked Gitto Construction Company and NAIRDA Consulting Engineers for a job well done particularly the late Mr Domenico Gitto, the former Managing Director of Gitto, who passed away while the work was going on, the supervising ministries and consultants who helped in bringing this concept to reality as well as the host community for their cooperation in sacrificing the land for the health of humanity. Speaking earlier, the state Commissioner for Health, Dr. Ememabasi Bassey, described the hospital as the most ambitious project by the state government with sophisticated medical facilities, and applauded Governor Akpabio, the architect of the project, Gitto and other sub-contractors for an excellent job. Also speaking, Dr. Yomi Johnson, a representative of the hospital operator, said the project had to do with determination, hard-work and planning which, he said, would bring high standards of medical care to the state, Nigeria and Africa. 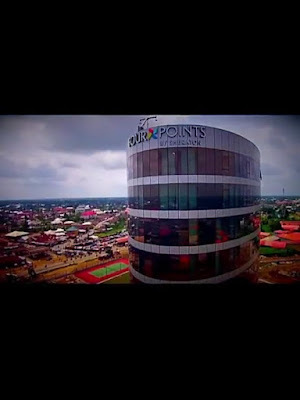 At the commissioning of Four Points by Sheraton Hotel in Ikot Ekpene, Akpabio said he was impressed with the speedy delivery of the project, and noted that the hotel would rest and comfort to the people as part of the uncommon transformation of the state. Speaking earlier, the state Commissioner of Special Duties, Barr. 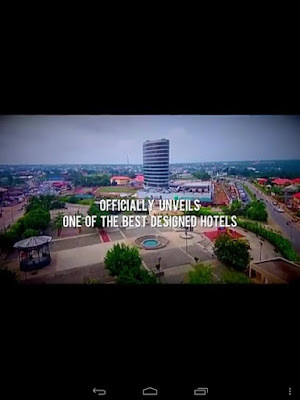 Emmanuel Enoidem, had hinted that the government completed it in 14 months and used three years to change the face of Ikot Ekpene after the demolition of the Ikot Ekpene Prisons that led to the emergence of the hotel. Later, Akpabio inaugurated Ikot Ekpene mini-Sports Stadium and some internal roads in Utu Edem Usung, Ikot Ekpene Local Government Area.